An assortment of brass & stainless steel mesh filter washer variants from The Hillman Group. 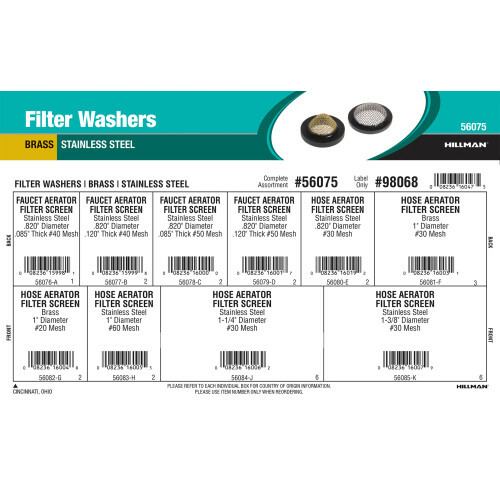 Filter washers remove dirt & debris while ensuring a water-tight seal. Variants included in this assortment range from 0.820" to 1-3/8" in diameter. Full assortment contains ten (10) refills comprised of Hillman item numbers #56076 - #56085.